The message of Walk a Mile is that everyone has value, and our mission is to raise the value of human life in schools across this nation. When students understand their innate value and the innate value of others, they are more likely to thrive. Research has proven that they perform better academically and are more likely to engage in their learning process. The Walk a Mile assembly program provides a huge boost to the morale of students and teachers and lays a strong foundation of respect and inclusion. You can select from three program levels, lasting from a one-hour assembly to a full day experience. True change comes when a cultural shift takes place. From the lunch lady to the superintendent, and from the head cheerleader to the new student, everyone has to see the value of valuing everyone. Value Up speakers have powerful stories that will engage your students from the moment the assembly begins. 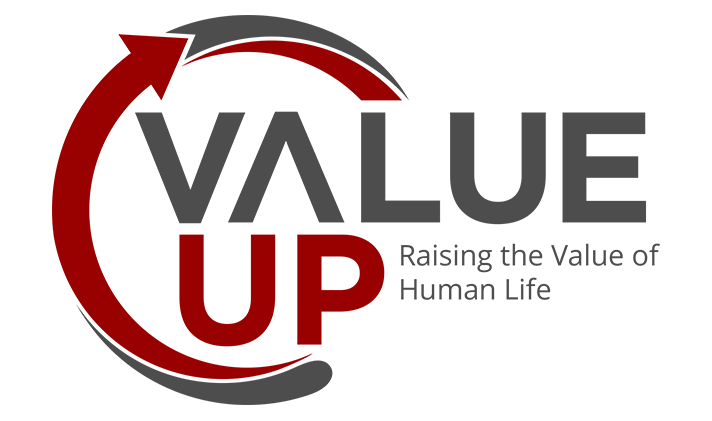 The Value Up Culture Building System builds upon the assembly to reinforce and strengthen a positive school climate. 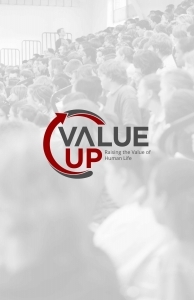 The Value Up system recognizes that adults provide structure, and students build culture. Our system equips students with the right words and equips schools with the right structure. In this day and age, sharing social media and website links is like currency. Please blast our stuff out on your platforms.